Isolated Kulanite crystal with very well defined faces and edges, translucent, extraordinarily bright and with a very deep color. 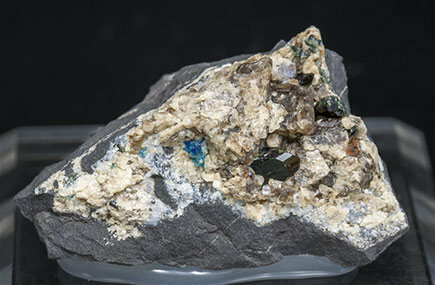 It is on matrix, with a translucent rhombohedral Siderite crystal, quite large for the locality. 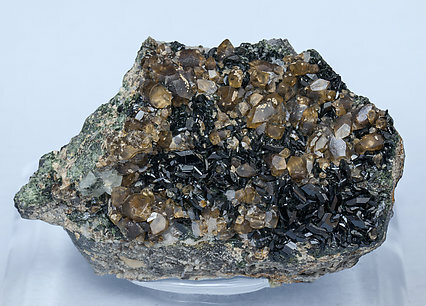 Extraordinarily well defined tabular Kulanite crystals with a very dark, almost black, color, very bright and on matrix, with small rhombohedral Siderite crystals.